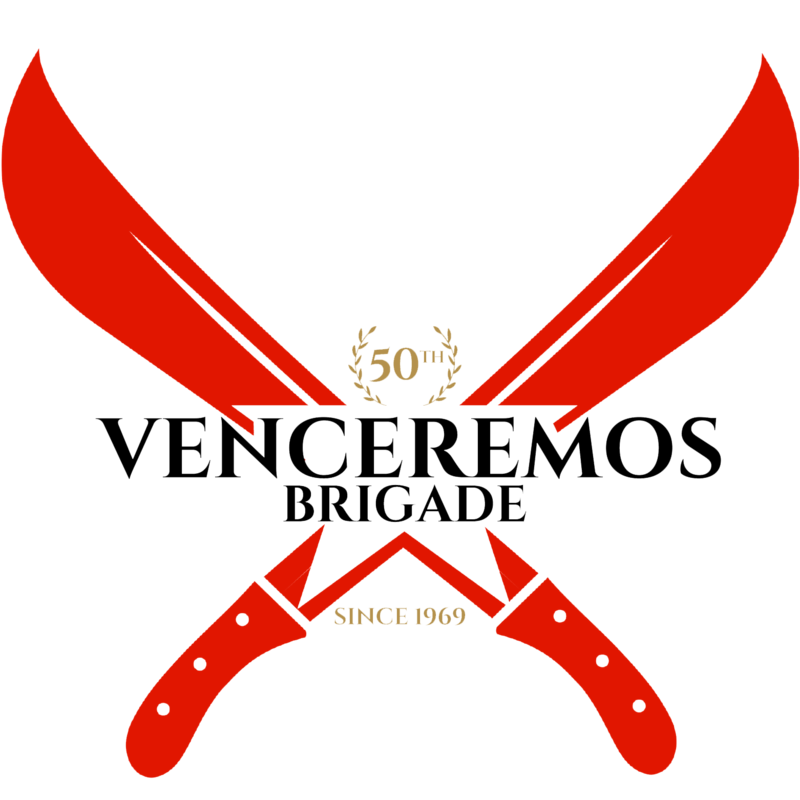 On Sunday, July 19, 2015, 29 U.S. citizens, followed by 16 additional on Friday, July 24, 2015, will defy the United States [U.S.] government’s travel restrictions by going to Cuba with the 46th contingent of the Venceremos Brigade. Members of the Brigade will participate in what they call a Travel Challenge, protesting U.S. government policy toward Cuba by traveling to the sanctioned island without a license and publicly confronting U.S. Customs officials on their way back into the U.S. Among this year’s contingent will be members from the Black Lives Matter movement. Brigade members, known as brigadistas, will deliver over 1,000 pounds of material aid to the island, volunteer on civic projects and participate in celebrations for the 62nd anniversary of the attack on the Moncada Barracks. Brigadistas will also interact with experts and citizens from various sectors of Cuban society to be informed about Cuba’s healthcare, educational and political systems, as well as visit important cultural and historical sites to learn about Cuban history. Returning to the U.S. on Sunday, August 2, 2015, the Venceremos Brigade will march across the International Peace Bridge from Canada into Buffalo, New York, holding rallies and/or press conferences on each side of the border. Although the recent negotiations towards normalizing relations between the two countries were announced by both President Raul Castro and President Barack Obama on December 17, 2014, the travel ban and U.S. blockade against Cuba are still in place and the Brigade asserts the importance of engaging in civil disobedience through public Travel Challenges as one of the most effective means of mounting pressure on the U.S. government to change these policies. The Brigade will continue to do so until both the travel ban and blockade have been eradicated, Guantanamo military base is returned to Cuba, funding ceases to USAID and other organizations attempting to create political chaos and unrest in the country and the U.S. respects Cuba’s right to national sovereignty and self-determination. The Pastors for Peace Caravan, and interfaith group traveling to Cuba and returning to the U.S. via Mexico, will also be engaging in civil disobedience along with the Venceremos Brigade. There will be also be a contingent traveling to Canada to meet the Brigade to march across the International Peace Bridge and engage in the Travel Challenge, but whom will not have traveled to Cuba. BRIGADISTAS ARE AVAILABLE FOR INTERVIEWS BEFORE THEIR DEPARTURES ON JULY 19 or 24, 2015 AND AFTER THEIR RETURN ON AUGUST 2, 2015. The Venceremos Brigade is a U.S.-based anti-imperialist educational work project that has traveled to Cuba annually since 1969 and has provided over 9,000 U.S citizens the opportunity to see Cuba for themselves. The Brigade asserts that the travel ban is unconstitutional and that the blockade is inhumane, immoral and contrary to the principle of national sovereignty and stands in solidarity with the Cuban People and their right to self-determination. It remains firmly against the U.S. government’s failed policies toward Cuba, calling for the immediate lifting of the travel ban and blockade. – I believe that people have the freedom to pursue travel to any place on this earth and should not be restricted, limited nor hindered by forces outside their own connections. Especially not by the government in which they live. – I believe the particular blockade that the United States holds against the Country of Cuba is a poor representation of how countries with an abundance of resources should behave in the international market. The blockade has unjust foundations and unreasonably blocks the progress of Cuba in a way that infringes on the rights due to any country that is independent, democratic and moving towards its goals and objectives which do not cause any threat to American life. – The United States of America has a horrid record of slavery, policing, incarceration and clearly hosts a dysfunctional and problematic criminal justice system. Beyond the structural issues, there is a deep woundedness in a culture that has either been blinded or has not used its power to address practically the issues that are the root causes of this wound. The Cuban 5 and other political prisoners and their cases raise the inherent contradictions within this very real system of cause and consequence and would require a strong push from people of conscience to make a change. – To put into practice what I believe, think and see in the hopes of making a way for myself and others. To give what I can to others and to receive from others. To recharge my beliefs and spiritual anchorings/groundings. Also, to understand what challenges and difficulties that Cuban’s are experiencing that make it a society of struggle as much as any other nation. this is just a short list and I could add much, much more along the lines of culture, art, history, family, fun, new air to breathe, identity, thought and dream life but the points above are the most central and unified goals of the group that I traveled with and what we agree upon. ***staying internationally conscious and domestically aware.